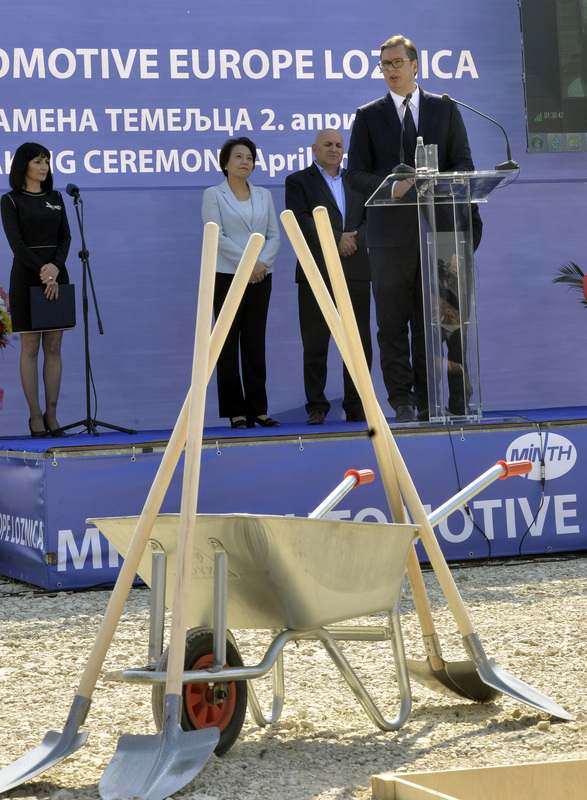 Chinese company "Minth Automotive Europe" started on April 2, 2019. in Loznica, the construction of a factory which will produce aluminum parts for cars. An investment worth 100 million euros will be realized in two phases, and the plan is to employ 1,000 people. 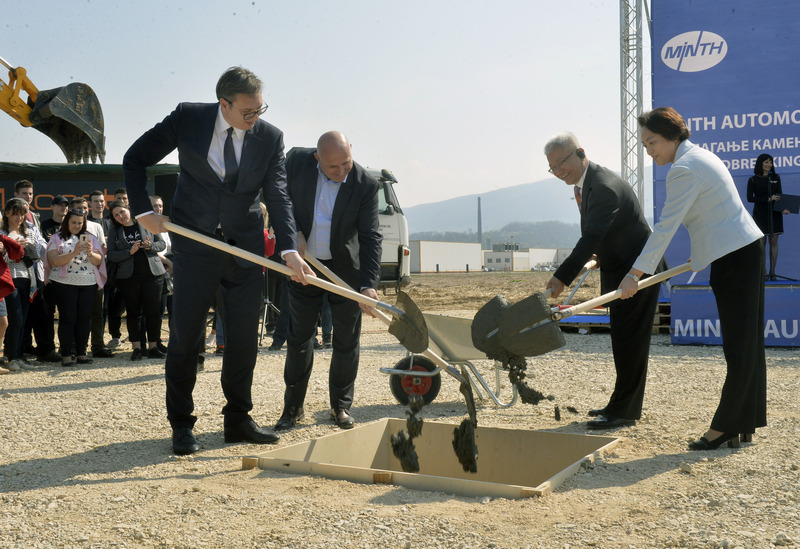 Serbian President Aleksandar Vucic attended the ceremony marking the beginning of the construction of the factory, and said that the new Chinese investment in Serbia will be a milestone for Loznica, and that it is of a great importance for Serbia in general. He also emphasized that he expects more Chinese investments in Serbia in the future and further China's support for economic development of Serbia. Minth Group has production in more than 30 locations in China, Thailand and Mexico and supplies parts to major car manufacturers with more than 80 percent of global market share and exports to Australia, Europe, North America, Japan and Southeast Asia.